The massive size and weight of trucks create a serious danger to others sharing the road with them. Many trucks weigh approximately 80,000 pounds, limiting their maneuverability and increasing their stop time. These factors often lead to catastrophic, life-altering injuries for drivers and passengers of other vehicles involved in a truck accident. 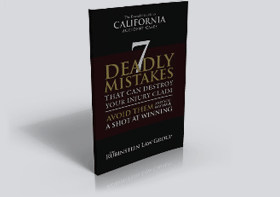 Zev Rubinstein is a truck accident lawyer in Escondido with 25 years of experience handling these complex claims. He has witnessed the devastation caused by these accidents, and he will fight aggressively to help you receive the compensation you deserve. Please call 866-771-7181 today to schedule your free consultation with our auto accident lawyer in San Marcos. The majority of truck accidents are the result of negligence by the trucking company, truck driver, or truck manufacturer. Many of these accidents could have been avoided if truck drivers and trucking companies made safety a greater priority. For additional information, please read our Questions about Truck Accidents page. 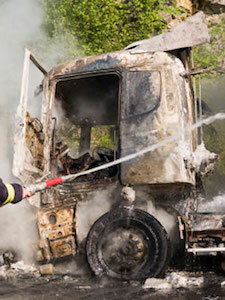 Truck accident cases are much more complicated than claims involving car accidents or motorcycle accidents. There are a multitude of state and federal laws which govern the trucking industry. Your San Marcos truck accident lawyer must be familiar with these laws and understand how they will impact your case. Escondido personal injury lawyer Mr. Rubinstein will carefully investigate your case in order to identify all of the parties responsible for your injuries. He will work with a team of accident reconstruction experts to conclusively prove fault and make sure you are fairly compensated for your damages. Over the past 25 years, Carlsbad personal injury lawyer Zev Rubinstein has developed a reputation as one of the finest truck accident lawyers in the Escondido, San Marcos, and Oceanside areas. He is a seasoned litigator who knows how to battle insurance companies that may try to unfairly reduce the value of your claim. Mr. Rubinstein is committed to delivering the high levels of personalized attention you deserve, and he will personally handle every aspect of your case. Very few truck accident lawyers in the Escondido area can provide you with this extensive experience and expertise while delivering the small firm care you deserve. Please contact the Rubinstein Law Group today to schedule your free consultation with our San Marcos truck accident attorney. Mr. Rubinstein serves clients in San Marcos, Escondido, Carlsbad, and Oceanside, California.